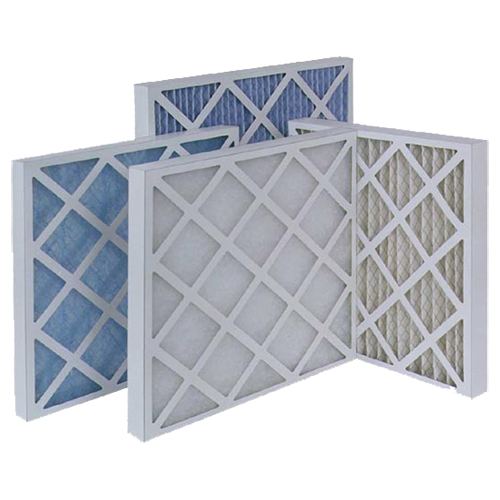 With the increased demands of advancing technology, panel filters provide a high level of efficiency at a low replacement cost. Glass Media Panel Filters - Produced as per Glass Media Pads, the elements are then bonded into a card or galvanised frame as required. They are also available with a scrim to reduce fibre shedding. Pleated Panel Filters - The pleated element is produced by pleating a highly efficient synthetic filter media which is non-hygroscopic, and flame retardant (BS 2963) to a support wire mesh.The construction is completed by fixing and bonding the pleated element into a card or galvanised frame (FR) to eradicate any possible movement or by-pass by the airflow. In addition to the 25mm and 50mm panels,we offer a 100mm depth version as a standard product for high velocity applications. 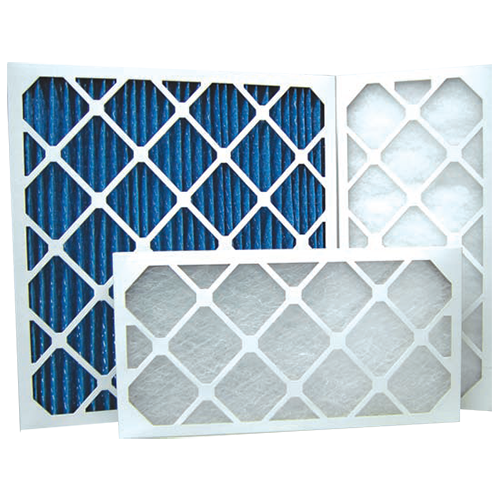 Synthetic Media Panel Filters - Produced as per Synthetic Media Pads, the elements are then bonded into a card or galvanised frame as required. Glass, Pleated and Synthetic panel filters are available in a wide range of standard sizes and efficiencies, please contact us for full details.